Steven (Chicagoland, United States) on 1 September 2015 in Landscape & Rural and Portfolio. 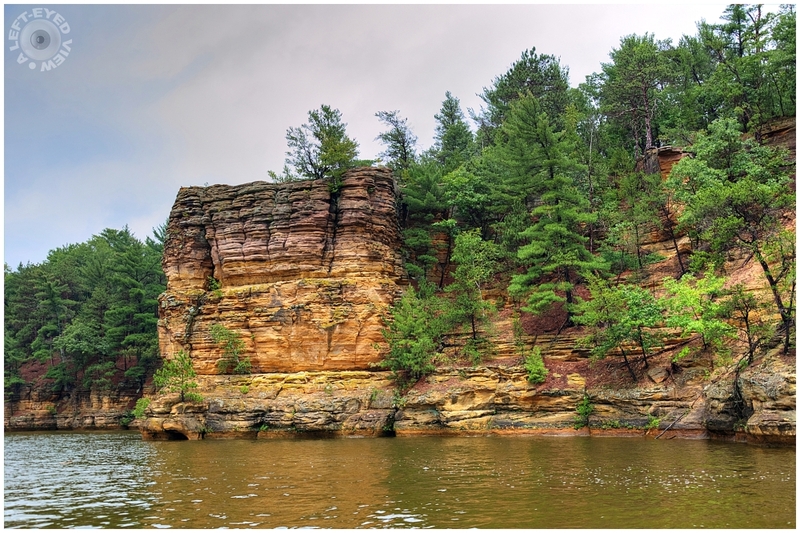 The High Rock sandstone formation spotted on the Upper Dells of the Wisconsin River. Quelle roche et la couleur de l'eau et ce vert de la végétation splendide. Rock of ages - love that weathering effect on the cliff face. Love the stratified cliff. Very peaceful scene. Impressivrock and a beautiful composition . Your first photo of the serial gave us human scale, and now we get to see the majestic beauty of this view in its undisturbed state. Truly beautiful. Wow, nice view ! Worth photographing. Beautiful formations in that rock and the rust-like colors are fantastic.... that is a stunning view!! Beautiful image. It must be wonderful to navigate this area. It's an amazing outcropping of sorts. The difference in structure must account for its development. A fine image. Such beautiful formations with those nicely colored rocks. Magnifique cette série..Very Nice formation. Beautiful color in the rock. These layered rocks are just wonderful and it's impressive how those trees grow on them ... A fabulous scene beautifully captured !!! That certainly is a great pile of rock. I love this series. This is just beautiful! I love the layers of color! A gorgeous image! These rocks are so wonderful in color, and the reflections you captured are superb Steven !! I love the trees here ! !